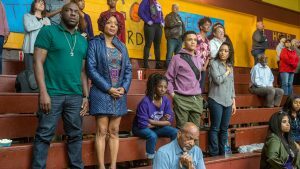 A scene from “Queen Sugar.” Photo by Skip Bolen © 2018 Warner Bros. Entertainment Inc. / Courtesy of OWN. TUSCALOOSA, Ala. — Dr. Rachel Raimist, University of Alabama professor of journalism and creative media, will direct an episode of “Queen Sugar” in New Orleans in June. Directing this episode will place Raimist in the Directors Guild of America, which represents 17,000 members worldwide. Starring Rutina Wesley, Dawn-Lyen Gardner and Kofi Siriboe, “Queen Sugar” follows the life of three siblings who move to Louisiana to claim an inheritance from their recently departed father — an 800-acre sugarcane farm. The siblings’ complicated lives are put aside to help their family revitalize the struggling farm. The award-winning show’s executive producer is Oprah Winfrey and features all women directors over its three seasons. 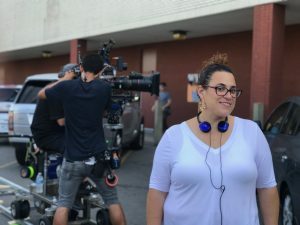 According to Women and Hollywood, women represented 32 percent of first-time episodic directors, a sharp increase from last season’s 19 percent and is nearly three times the number of the 2009–10 season. Raimist is directing episode 311, titled ” Your Passages Have Been Paid.” The episode dives into the lives of many of the show’s lead characters. Filmed on location in New Orleans, the episode will air in the fall on Oprah Winfrey’s OWN network.